1.8 billion litres r1 Albertans have long lived with oil and gas, but water use is raising the ire of a group of citizens in Clearwater County ... View this e-mail in your browser. Albertans have long lived with oil and gas. They work in it; they make their livings from it; they live next to it. 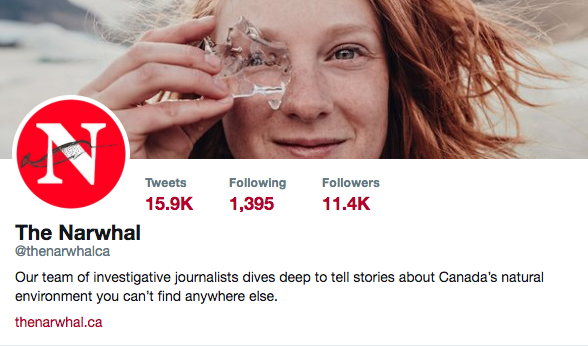 So when our Alberta reporter, Sharon Riley, started attending surface rights meetings in rural communities last fall, she was surprised to hear so many angry voices. At one of these meetings, held at the Warburg Community Hall in November, there was a flurry of activity — and not just because it was curling night next door. The Alberta Energy Regulator had sent representatives to talk to residents about industrial water use in the area. And many locals were furious. There were questions. There were raised voices. There were flushed faces. 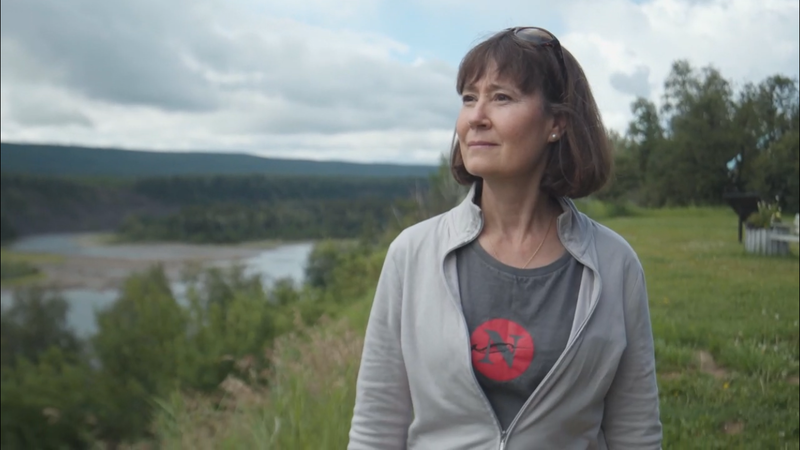 That’s where Sharon first met Clearwater County residents concerned with a plan to extract 1.8 billion litres of water from the Clearwater River, the sole source of drinking water for the City of Edmonton — a river one local, Evanthia, had looked out at from her kitchen window for 45 years. The water would be used for fracking. 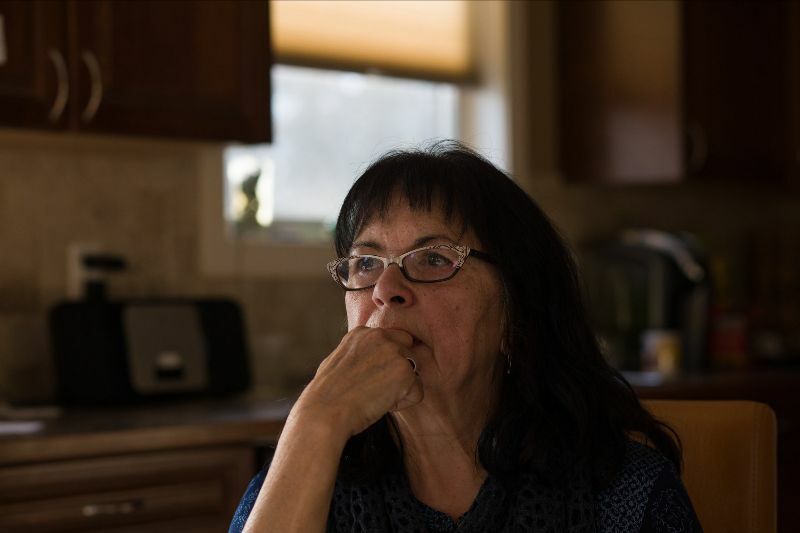 Evanthia and other residents had become extremely concerned about the consumptive nature of water in fracked wells — much of it is lost from the water cycle. Permanently. The Narwhal sent Sharon and photographer Amber Bracken to visit Evanthia and other concerned Clearwater County residents in December. This week, we have an in-depth feature for you about the struggles of Albertans who aren’t against oil and gas activity — but are still worried the industry isn't always adequately regulated. And, of course, read on for much, much more! 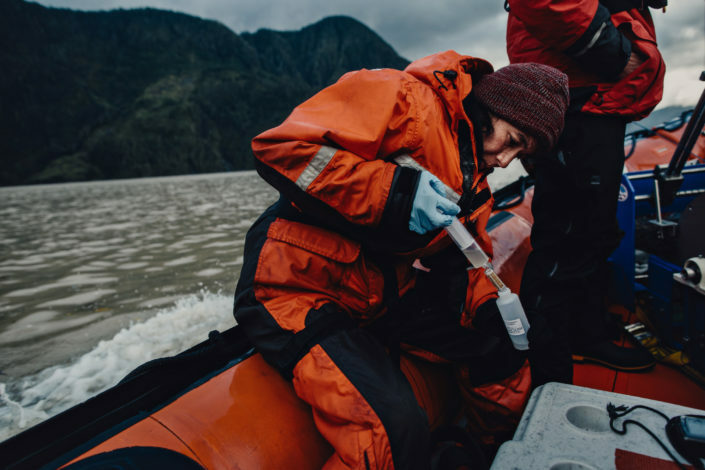 Armed with tiny vials and some of the world’s most cutting-edge technology, scientists are taking to the ocean to harvest hair, scales, snot and other bits of material unintentionally left behind by creatures great and small. Read more. 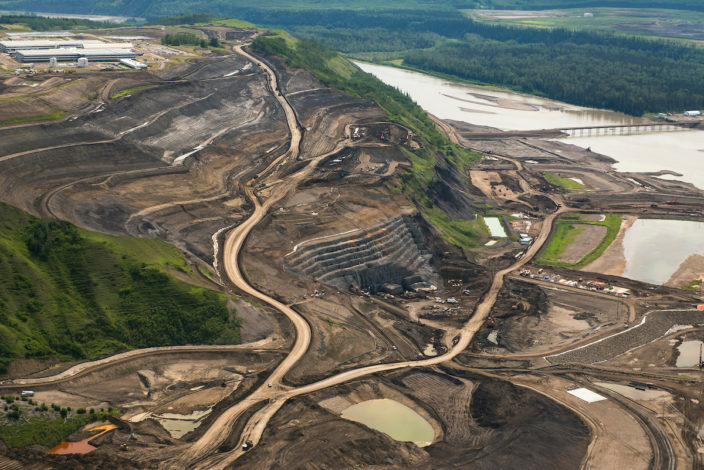 BC Hydro has gone to court to avoid revealing the names of public employees who decide which companies are awarded lucrative Site C project contracts during construction of the $10.7 billion hydro dam. Read more. Internal documents released via Freedom of Information laws show that, while the B.C. 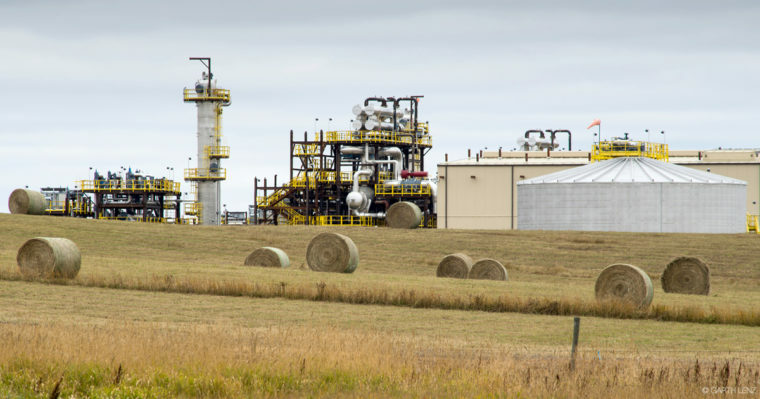 government was publicly apologizing to the Fort Nelson First Nation for exempting natural gas plants from environmental assessments without consultation, the province quietly used a loophole to allow the exemptions to continue — a loophole that persists to this day. Read more. 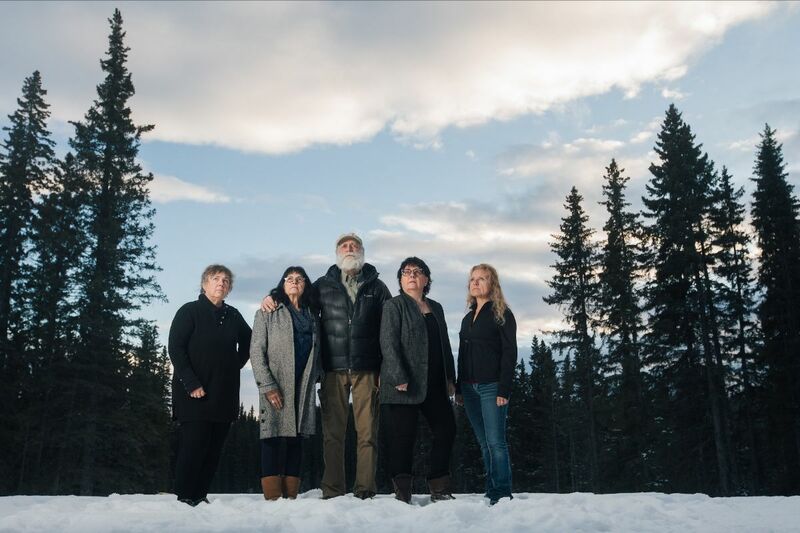 The Narwhal in the world The Narwhal's Alberta reporter Sharon J. Riley was featured on the University of Alberta's campus radio program Terra Informa this month. Listen to hear Sharon's thoughtful insights on how to report on polarizing topics. In other news this month, UBC featured The Narwhal's northern reporter Jimmy Thomson. 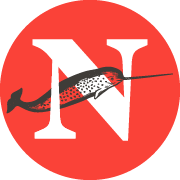 Read on to learn more about how Jimmy ended up at The Narwhal and how he found his way into journalism in the first place. High fives, Jimmy! Become a Narwhal! If you support our work and want to help us keep it ad, influence and paywall free, become a member. Snag one of our sassy t-shirts while you're at it by supporting The Narwhal at a level of $20/month or more. Look great. Do great. What we're reading this week Vox: Ending the age of animal cruelty Let your friends know about our independent, ad-free newsletter by shaking this signup link in their direction. Donate Copyright © 2018 The Narwhal, All rights reserved.